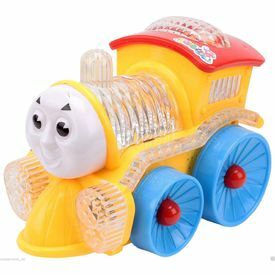 Your Little One Is Sure To Fall In Love With This Amazing Toy Train. It Is Designed To Entertain Your Kid With Its Ic Sound And Flashing Top Lights. It Will Delight Your Kid And Will Let It Imagine A Travel Scene. The Train Has An Adorable Look That Is Sure To Grab Attention.